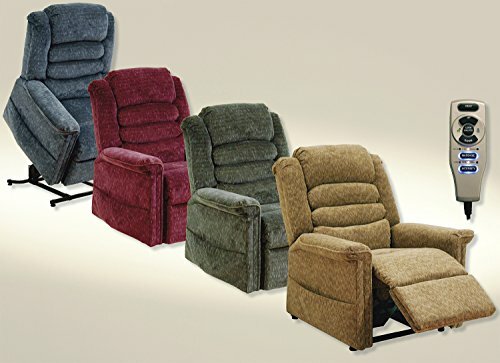 This stylish recliner is a full lay-out chaise lounger with lift and tilt features. It is available in a range of colors. The chair comes with heat and massage features and is easy to use, with a simple remote control that puts the user in full control. 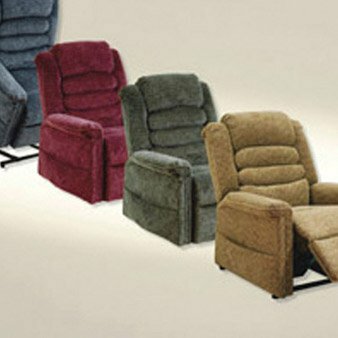 The chair is upholstered with luxurious chenille fabric, and the seat box is robust enough to accommodate up to 350 lbs. 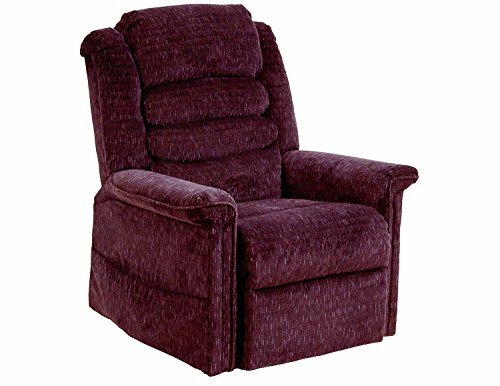 The chair has a waterfall back with comfortable padding, arm rests, and a padded footrest area. The chair is designed for people who are small or average height, and those who are taller than around 5’7″ may find that it is a little too short for them when the footrest is extended. 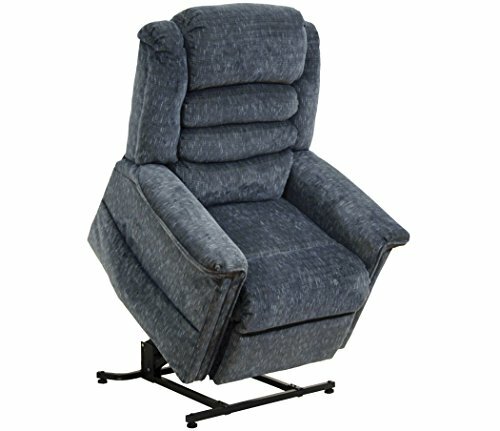 The width of the chair is 21″ between the armrests, which should suit most builds. Some people opt to use a neck pillow with the chair if they are going to use it for sleeping in. 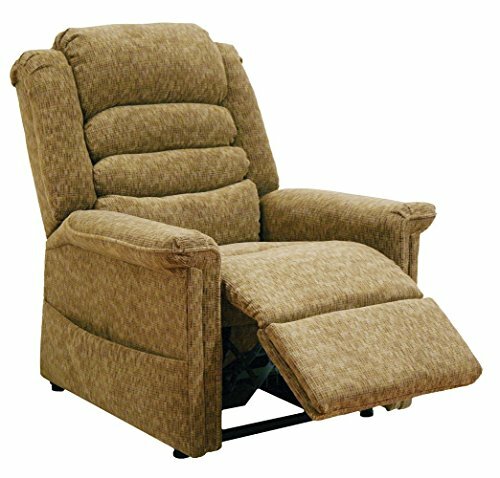 The chair has a heat unit and massage unit are popular features and make this great for people who want to relax and rest in a chair instead of in a bed with an electric blanket. 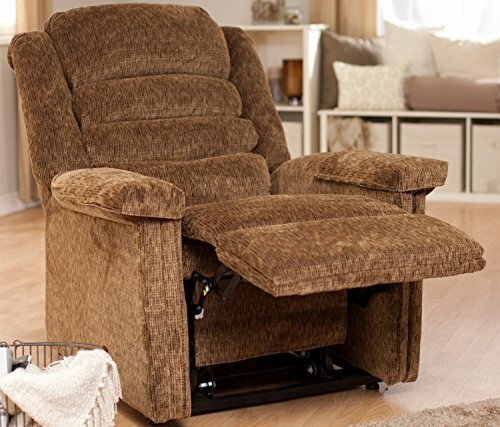 The recline feature and lift features are useful for those with mobility issues, however, the leg lift does not get as high as it would on some other units. This means that it may not be the best choice for an older person with circulation issues. 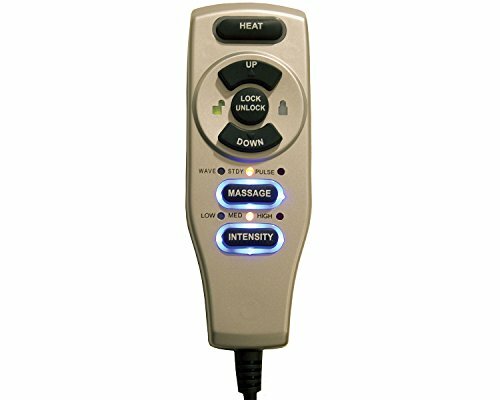 The heat and massage features operate on a timer, which runs for about 20 minutes and then will auto switch off. There is the option to lock the controller so that the heat feature cannot be triggered accidentally. The remote control can be counter-intuitive at first. 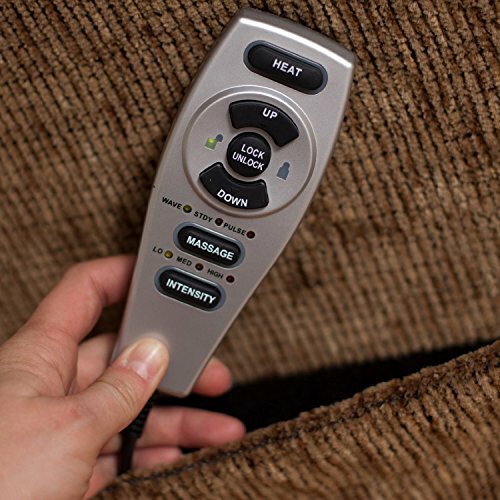 The ‘down’ button is used to recline the chair and raise the feet, while the ‘up’ button is used to lower the feet and return the seat to an upright position. It may take a little while for a much older person to become confident with using the chair, but once they have gotten the hang of it, the increase in their wellbeing and confidence is clear. 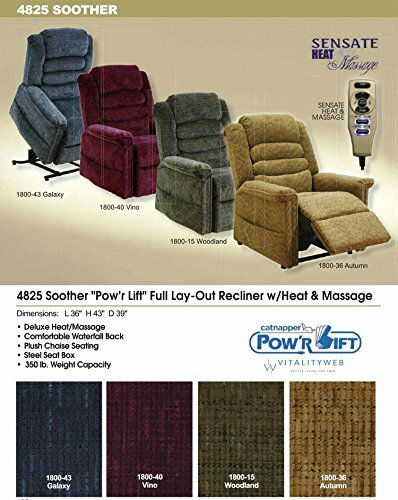 Having the ability to use the lift feature to get out of the chair can be useful for those who may otherwise need assistance to move from the recliner to a wheelchair. 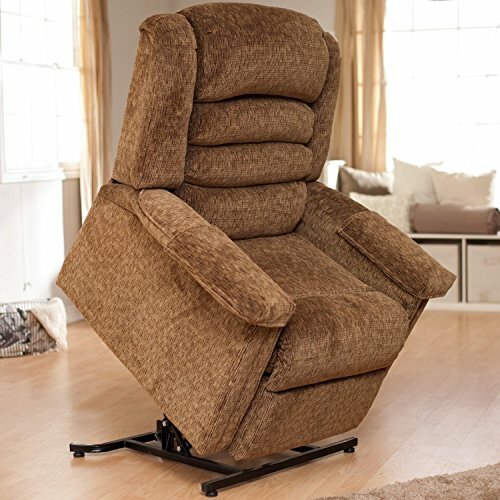 The lift feels robust and the chair is comfortable enough for long-term use, and even to sleep in.